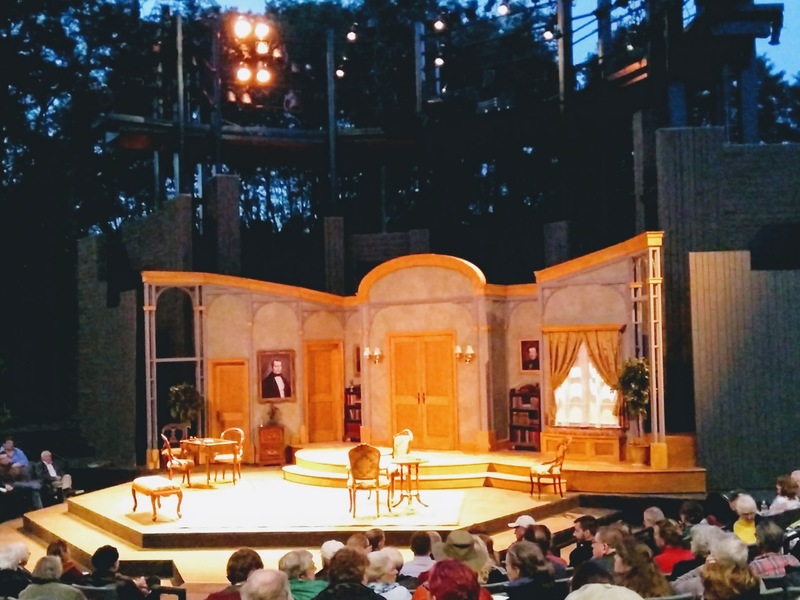 I absolutely love visiting the American Players Theatre in Spring Green, Wis., toward late summer/early fall. Charlie and I met with friends to watch “A Flea in Her Ear,” a comedy about mistaken identity, misunderstandings and miscommunication. 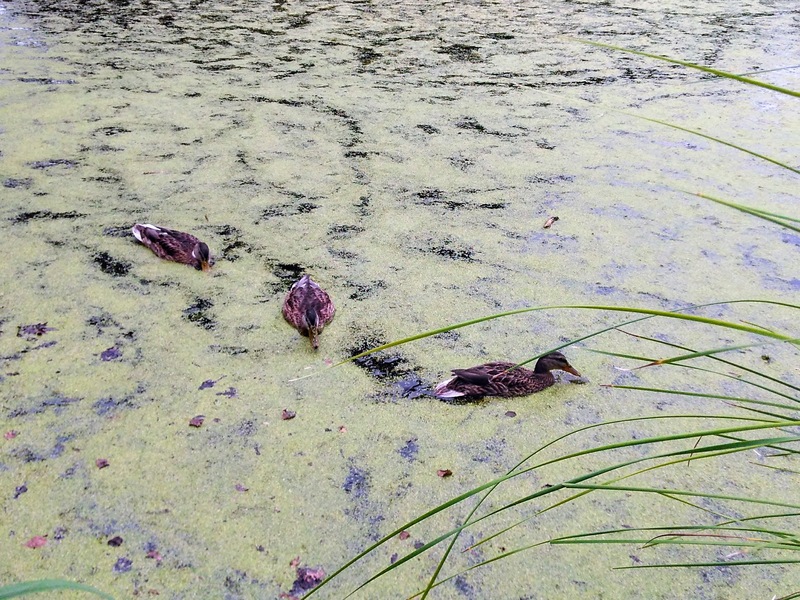 Back to the Olbrich Botanical Gardens … the trio ducks swam our way when my friends and I started tossing peanuts into the water. In our defense, the super cute and adorable 2-year-old kind of made a mess of her peanuts, and if she wasn’t going to eat the peanuts then why not feed them to the ducks? I just hope they don’t have peanut allergies. 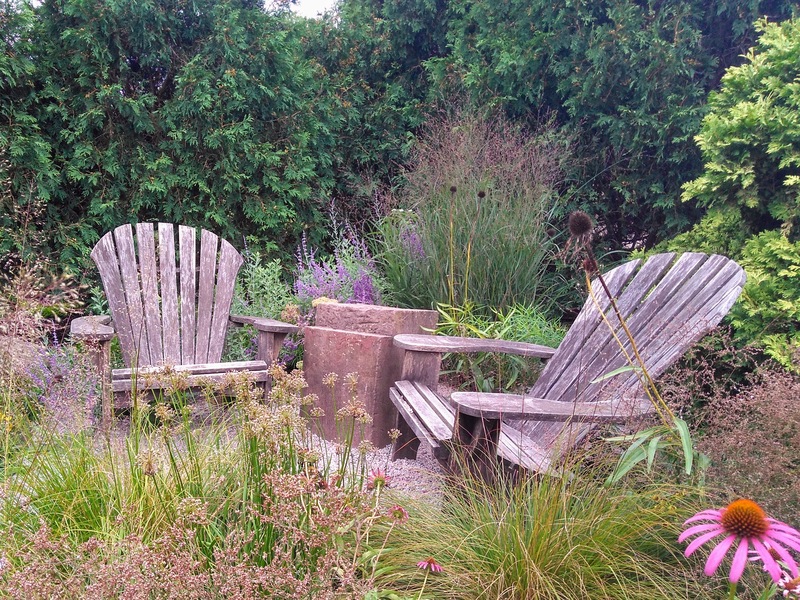 Depending on the bug and flying insect population at the gardens, I wouldn’t mind sitting in one of the many chairs strategically placed around the place and reading a book for a little while. 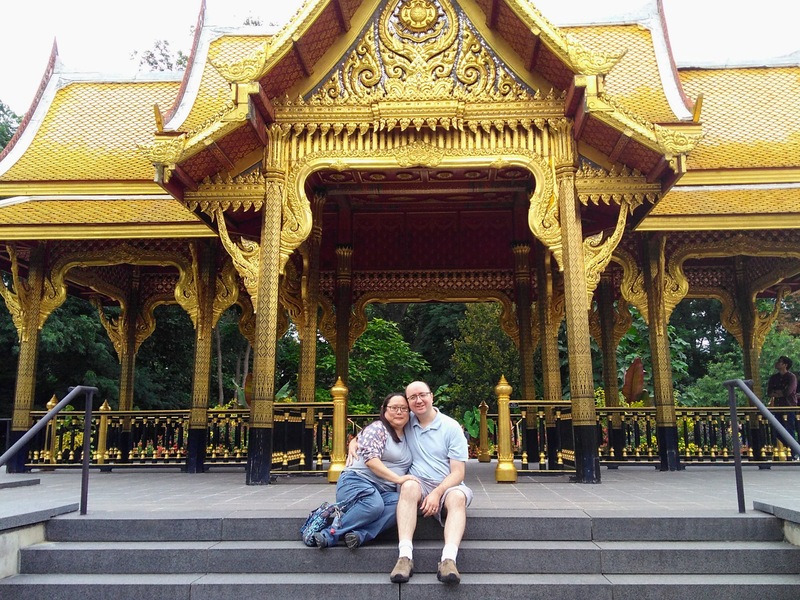 Just me and Charlie sitting on the steps at the Thai Pavilion and Garden. The Madison weekend trip gave us a few days away from the new house and the cats in the new house, but a friend of mine stopped by to make sure my Clarabug and my Rileypoo weren’t freaking out and looking lost without us. They were fine. Any place that can combine flowers and water is a place where I want to be. 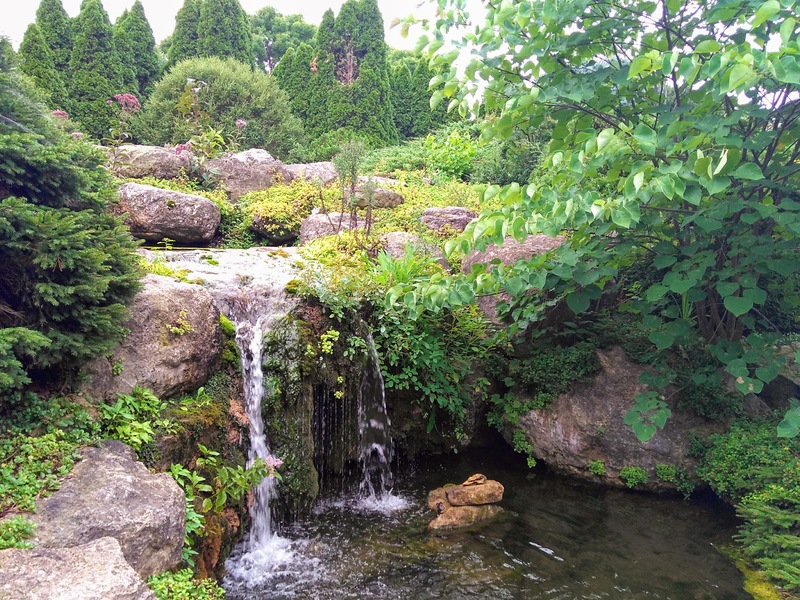 When I look at this picture I just want to jump in and immediately head straight for the waterfall. 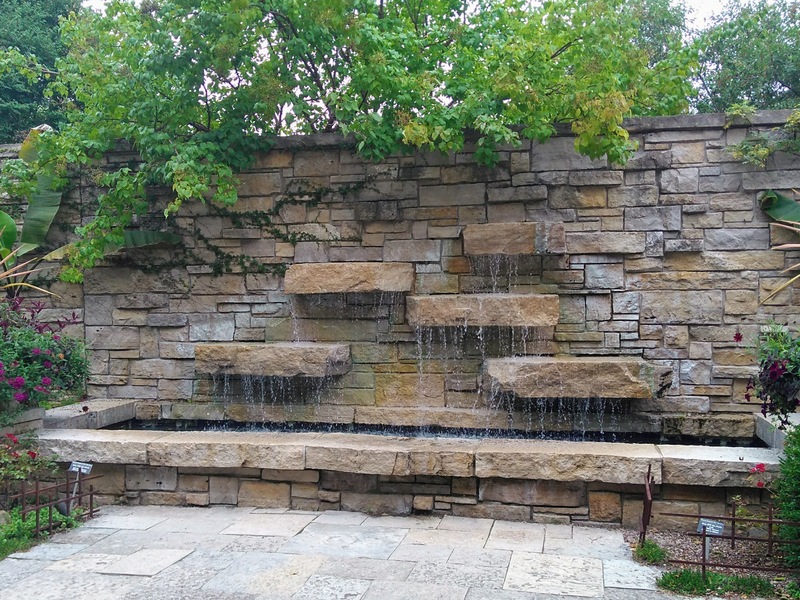 If people weren’t around and a wooden railing wasn’t blocking my path, I would have no problem sitting under the waterfall on a hot day. 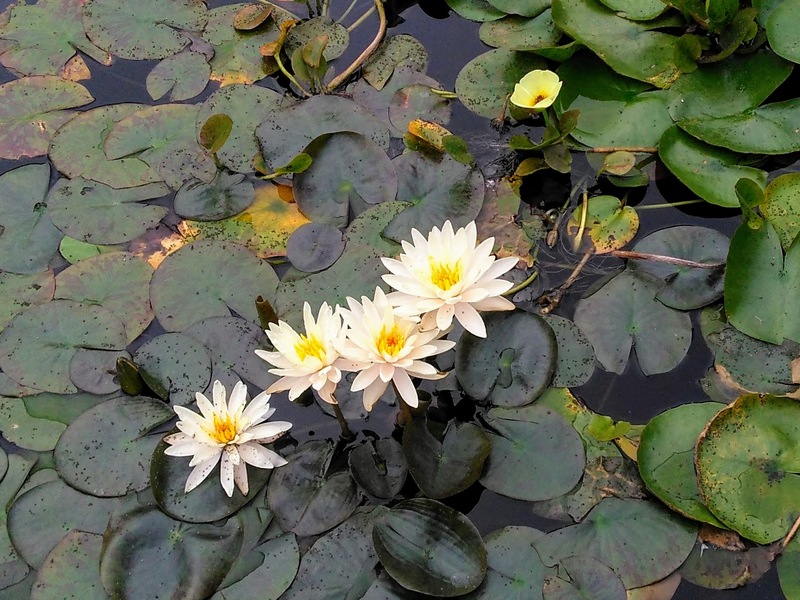 My attempt at an artistic snapshot of flowers on lilypads in water. I really should just be grateful I didn’t stop my phone in the water. 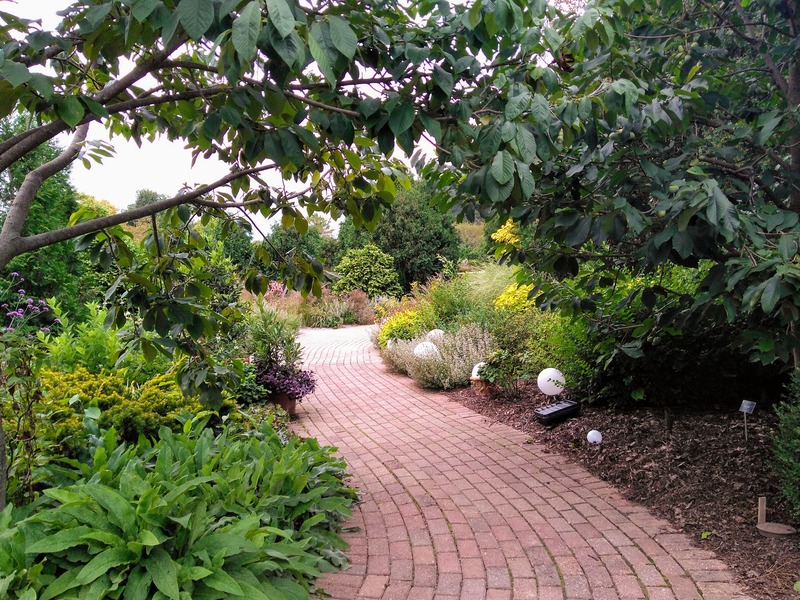 If you’re in the Madison area and love flowers and plants, I highly recommend walking around the Olbrich Botanical Gardens. The place is beautiful and inspiring, and I look forward to the next visit.